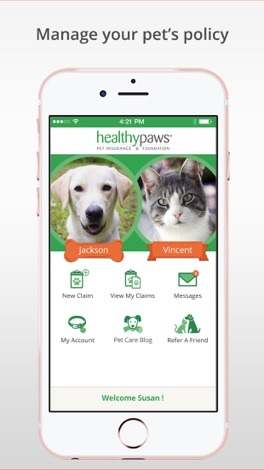 As the first pet insurance company to do away with the paper claim form, Healthy Paws is making it easier than ever to care for your pet. 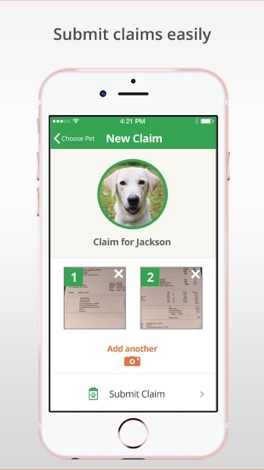 When it comes time to submit a claim, simply take a picture of the invoice from your vet's office and submit it via the app. 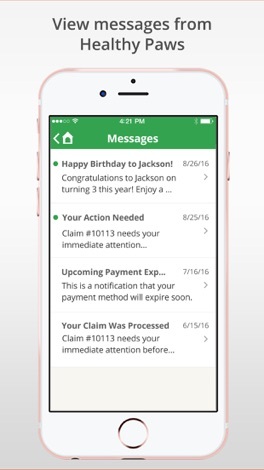 We'll start processing your claim right away—no paperwork necessary! 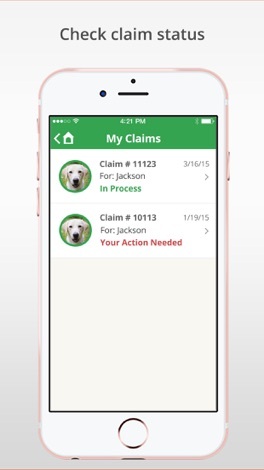 You can check your claim status anytime via the app. 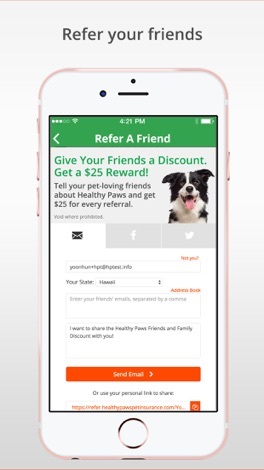 The Healthy Paws app also gives you access to pet wellness articles and tips to make your life with pets happier and healthier. Healthy Paws is the #1 customer-rated pet insurance company. We offer dog insurance and cat insurance with complete accident and illness coverage. Healthy Paws has no annual or lifetime limits on payouts so you can give your pet the best medical treatment possible.